With plenty of moving services, Meathead Movers is fully prepared to make Murrieta your new home. Our clean-cut student athlete movers are dedicated to fulfilling all your moving needs efficiently. Murrieta, one of the fastest growing cities in California, is primarily a bedroom community for several other commercial bases including Camp Pendleton, Orange County, San Diego County, and Temecula. It is also one of the safest cities in the nation. People who love outdoor activities will enjoy Murrieta as there are several golf courses and parks within the city limits. There are also several activities and places to enjoy near the city, including Temecula Valley wineries, Lake Skinner, and the Santa Rosa Plateau. If you are considering moving to Murrieta, be sure to check out Meathead Movers before you decide on another moving company. We take pride in our high standard of work and customer service. All our Murrieta movers are carefully screened and selected so that you know that only the best of the best are handling your move. All our movers are clean-cut student-athletes who don’t do drugs or smoke and are always respectful and professional. They’re trying to earn a bit of extra money for their education, and they’ll hustle to do it: whenever they’re not carrying your items, our Meatheads will jog to and from the truck. You’ll never be able to accuse our Meatheads of loafing around or stretching out the job to earn a bit more money because we offer fixed pricing plans for long-distance moves. We also require the same moving crew that loads your truck to be the same moving crew that unloads your truck. We want our movers to be responsible for the quality of work they do. Along with our standard local, long-distance, and commercial moving services, we also offer packing, storage, on-site relocations, and our distinctive moving concierge service, which connects you with local service providers. Additionally, we offer support for all our clients seven days a week. At Meathead Movers, we do the job right every time. We do everything we can to ensure that you’ll always be happy with our service, and even have a 100% satisfaction guarantee to prove it. 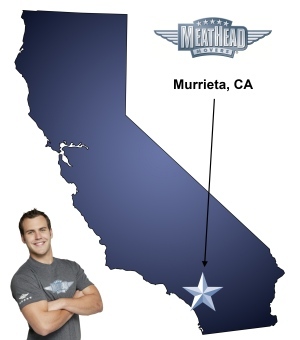 If you’re moving to Murrieta, give us a call to learn more about these services and how the Meathead Difference can make your move easier. Contact us today for a free no-obligation moving quote and learn how we can help you on your next move! Moving to Murrieta? Here are some helpful resources. The mentor mover was the best he out ran the other 2 men that helped use move, yes I said ran because they didn’t walk to eat up time like other moving company do to get more money Meathead Movers run from truck to house, they were awesome.. I would highly recommend Meathead Movers to ALL my Friends and Family.. The crew that was sent to us were extremely professional and hard working. The movers, while very professional and polite, did not hussle as much as I expected. They took over 10 hours to move my house which did not have a ton of stuff, which caused me to have to pay twice as much! I had myself and 4 other people taking car trips filled with smaller stuff and it still took that long. Nick did spend majority of the time disassembling and re-assembling a complicated bed but in that time, the other two guys did not appear very productive and seemed to be waiting more on nicks direction. My husband had to stay at the house until after midnight bc they forgot a lot of stuff. Had they hussled more on the smaller items and wrapping furniture, I believe they could have gotten done a lot sooner. We also reduced a lot of what was originally quoted by taking things to storage and goodwill. I honestly feel disappointed by the service and over charged. Responsive, communicative, professional and enthusiastic. Wonderful experience. Very professional, pleasant young men! They worked very hard and were very careful with our household items as well as making sure our pets did not get out. I would recommend the company to anyone who is moving.